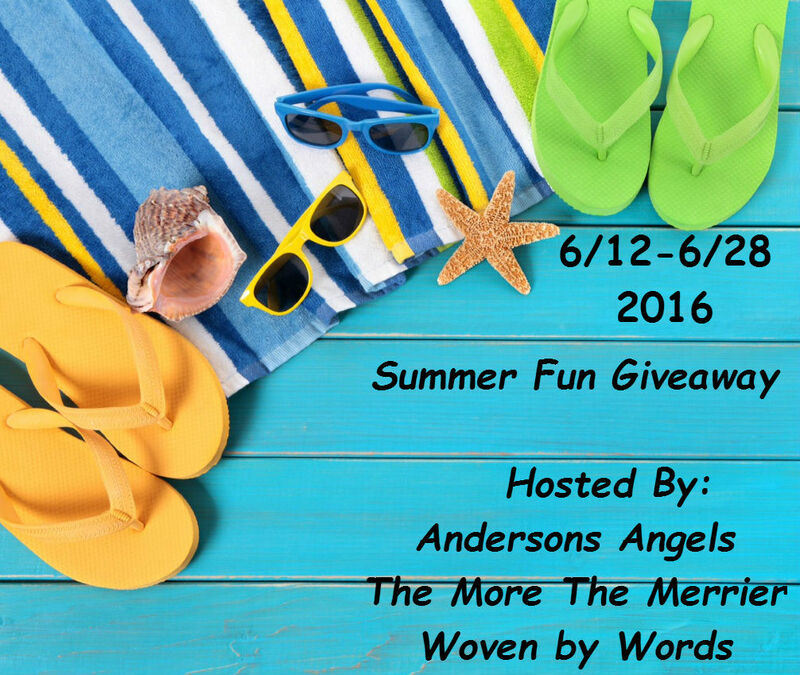 Andersons Angels, The More The Merrier and Woven by Words are hosting the "Summer Fun!" Giveaway Hop from June 12th at 12:01 am EST thru June 28th at 11:59 pm EST! If you're a blogger, be sure to add your BLOG NAME to the linky below! 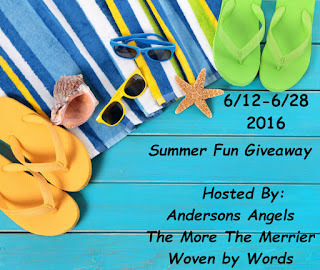 The Summer Fun Giveaway Hop is FREE, but there will be a $25 prize minimum. Don't have a prize, who can't use a gift card, so that counts, too! Summer Fun: What says summer to you? If you can dream it, you can review it! Reach out to companies who fit a summer theme or have a summer product, and get them to work with you! Some ideas: beach blankets, lawn games, coolers, bathing suits, and more! You can have more than 1 winner, but please make sure each prize group is a minimum of $25 worth of prizes. You must add the linky for the hop to your giveaway. We will be hopping through everyone's posts to make sure everything is done completely. We'll contact you to make sure you remember to get your post up, or if something isn't right. We want everyone to succeed! Not posting required information will result in you being removed from the event. Once your giveaway is live, please email the direct link to your post so that it can be added to the linky. Remember, if your post isn't up correct it's affecting the next person in the hop. We would love it if you would share the sign up post, as well as put the button on your sidebar! It will help everyone in the long run. The more we get to sign up, the more traffic, the more we can do in the future! More, more, more. And more is good, right? ;) Put social media to work for you (and everyone participating). DEADLINE: Sign ups close on June 8, 2016. Details will be emailed by June 10th or you can grab it in our Facebook Group anytime! If you have any questions about the event, we're available to help!